If you would like to sign the cup mail pawellec@tlen.pl (with U nick and mail). Or use the polish messenger GG 2347385 to contact Xaero. But keep in mind that the organisators made a neat compromize that allows nonpolsih players to play on official servers in there own country. Until they face a polsih player. Then the match will be (for sure) played on a polish server because its a polish cup! It seems Painkiller has made its way onto Wikipedia, the online wiki encyclopedia. Painkiller is a first-person shooter PC game released on April 12, 2004. It was published by DreamCatcher Interactive and developed by People Can Fly. 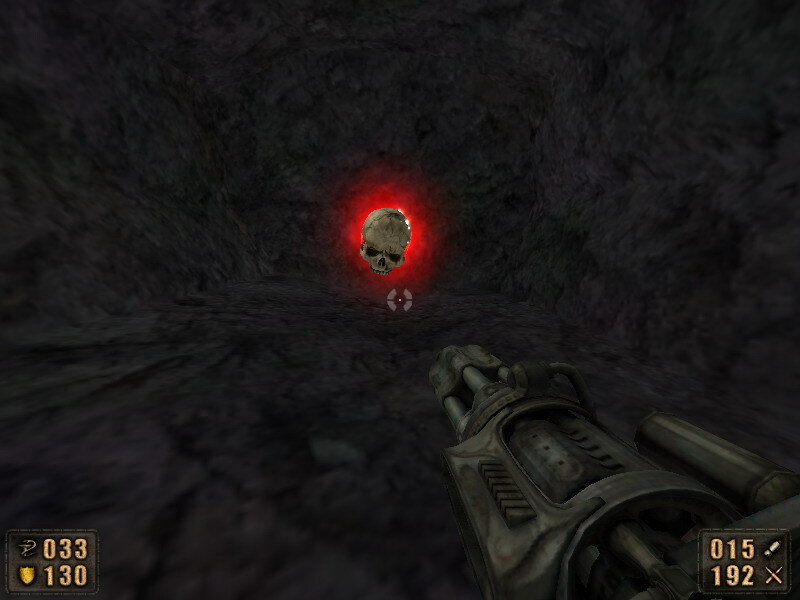 It attempts to replicate the ‘old-school FPS’ gameplay of Doom and Serious Sam. It has 24 levels of seemingly unconnected designs that include medieval castles, factories and lunaic asylums. Five of the levels are ‘boss levels’ with some of the largest FPS bosses to date. The game takes place in Purgatory and Hell. It is notable for using the Havok 2.0 physics engine extensively. The main character, Daniel Garner, is voiced by Cam Clarke. From what its written in THIS article, it could really become reality ! Gamecloud – What can you tell us about any sequels to Painkiller at this point? Robert Stevenson – Good question, but we are under a spell of silence on the next adventure of Daniel Garner and a full on Painkiller 2 version. You never know when that might change though – definitely keep an eye out for some announcements about upcoming action in the world of Painkiller coming down the pipe! Pkeuro and its sister site, q4euro.com, have found their way to be rehosted on a different server with a short time of being offline.